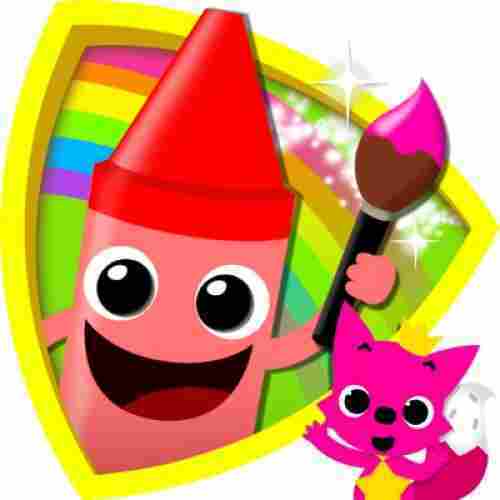 For decades, kids have been coloring and painting using the standard crayons, markers, colored pencils, and pastels. And parents have been swapping secrets about how best to remove said items from the carpet and wall, when the miniature Picassos decide they want to expand their creative world straight off of the canvas. Luckily, now there’s a safe way for kids to make all kinds of fun, colorful artistic creations with absolutely no hazard to the rest of the home. Drawing and Coloring Apps on various tablets and phones provide children with a contained way to express themselves without making a mess. Many apps feature different coloring techniques, a variety of pictures, and the ability to save the photos and sometimes even set them to music. This page has recently been updated to ensure all of the products were in stock. We have enhanced the readership by updating various content sections throughout this article. With eighteen different brushes and a built-in art gallery to store both finished products and doodle animations, Kids Doodle 2 is a great vehicle for budding artists. Choose from brush features such as glow, rainbow, crayon, spray, ribbon, and more. 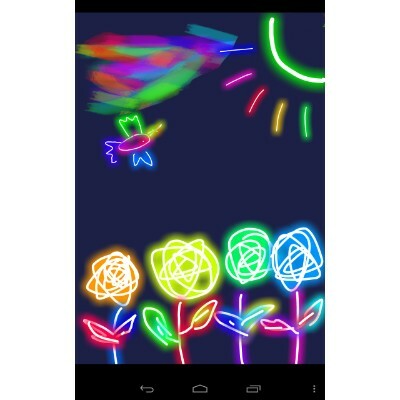 The app offers bright colors that will stimulate young eyes and get them excited to create. Apps allow kids to sort and learn their colors, as well as which tones are complementary to each other and which are not. The various brush techniques give them some artistic dynamics to work with, and if they want to watch how they did it all over again, the movie feature allows an instant replay. A movie mode allows you to play back the process of drawing or coloring just like a short film. 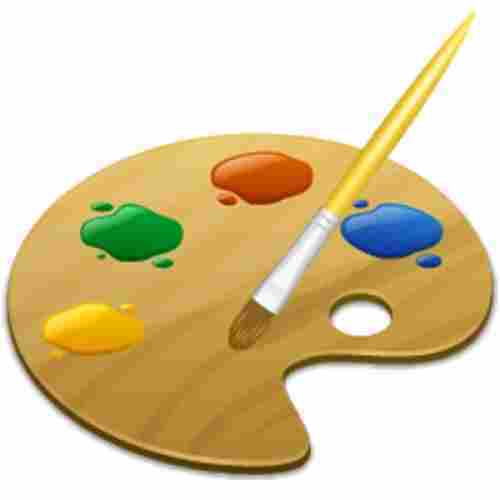 You can shake the tablet to clear the painting altogether, or use undo or redo to fix small mistakes. It’s a fun and easy app to use, with an intuitive interface. The ability to play back the process of drawing/coloring from start to finish is fun as well, and a great learning tool for children who want to learn and improve. The app connects to multiple social media platforms as well, so you can share your finished creations with the whole world! Peppa’s so delighted to have her friend over to color with! 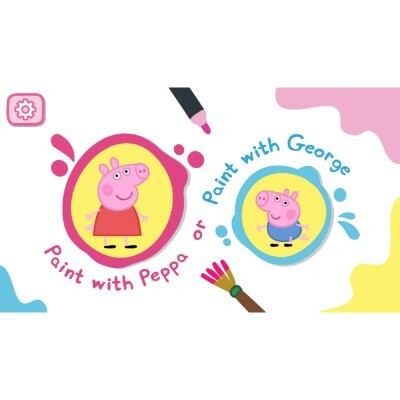 Choose from a canvas option, pick a background or color in a specific character with this darling Peppa-themed app. Choose from seven paintbrush options, seven tin paint colors, ten animated stickers, six magical drawing tools, an eraser, or 39 characters and prop stickers. 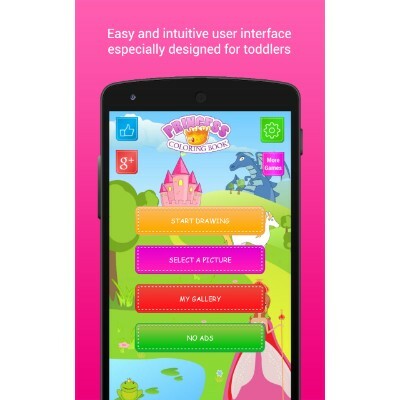 This app allows your child to unleash their creativity with their favorite cartoon pig. While there are predesigned pages your child also has the ability to draw their own creations. Using the app will stimulate your child’s imagination and allow them to increase their hand-eye coordination as well as their fine motor skills. 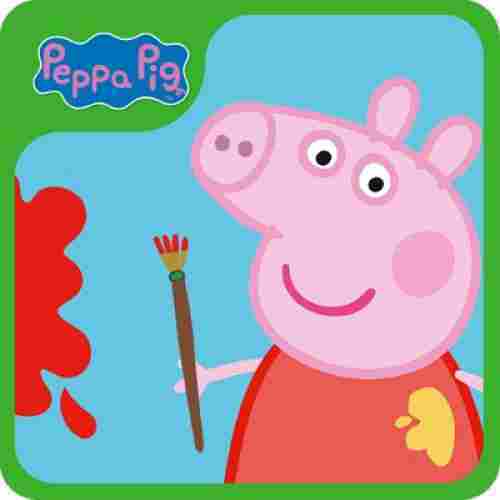 You can color with Peppa or George and put your work on display at the school. Save your drawing to your camera roll to treasure it even after you’ve exited the app. Peppa gets kids excited about basically anything. And the app is designed so that it won’t try to promote in-app purchases or upgrades, meaning no one can accidentally buy a new paintbrush, or even just see it and complain about not having it. No advertisement and no in-app purchase mean this is great for kids who see new shiny buttons and automatically want to click them. 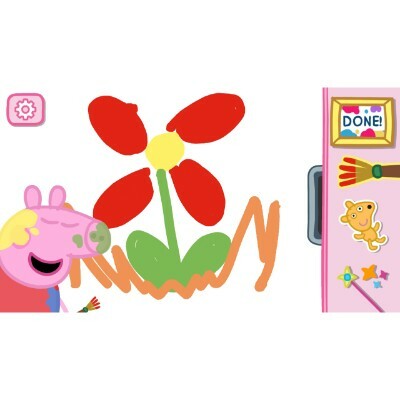 It’s just good old colorful fun with Peppa in this program. 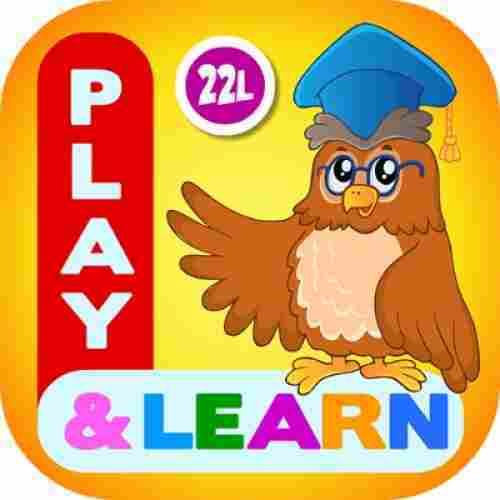 In spite of its name, this wonderful learning app by 22learn is appropriate for ages 2 to 7. It does feature a Halloween theme, but we promise that won’t stop your kids from playing this all year long! What makes this game stand out from the rest is the wide range of activities with various difficulty levels. Then, there’s the interactive coloring book, where kids are encouraged to be creative in color choices for traditional characters like ghosts and vampires. Color activities include both coloring and color match options to accommodate different skill levels. This is a game that grows with your child from the toddler years into elementary school. Targeted skills include phonics, memory and tracing letters, which kids of all ages can benefit from. Children who are already attending school benefit from having their lessons reinforced at home. However, many kids get cranky when parents bring out the flashcards or worksheets. It’s understandable, considering parents tend to bring them out after homework or during the weekends. Here’s the perfect solution - a fun, interactive game that turns learning into playing. Even the Halloween theme and background music are ideal since most kids love Halloween and its related characters like ghosts and jack-o-lanterns. If you’re looking for a fun and educational app for your child, look no further. 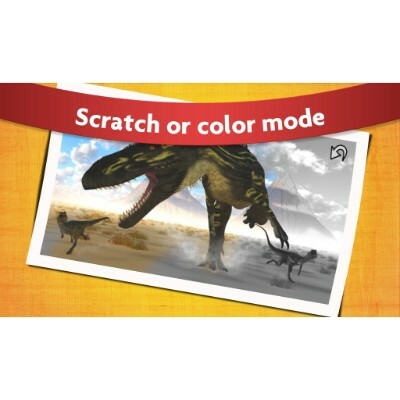 The Kids Dino Scratch and Color game will appeal to children between the ages of 3 and 5. This game is equipped with two modes; scratch or color. In scratch mode, your child can rub their finger across the screen to discover a hidden image. In color mode, your child can paint an image of a dinosaur. 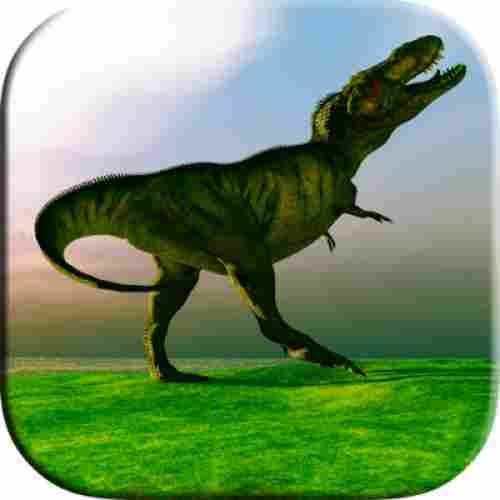 Each image contains the name of the dinosaur below. With the push of a button, your child can even hear the dinosaurs roar. As your child “scratches” to uncover the dinosaur they will be increasing their fine motor skills. Both modes will develop and improve your child’s hand-eye coordination. There are no third party ads in this game, so your child is free to play and learn without interruptions. 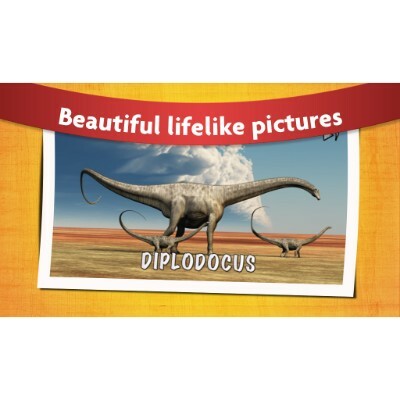 The dinosaurs look realistic as they have been drawn by a professional artist. As your child passes through each of the eighteen levels their knowledge of dinosaurs will increase. While this is a relatively simple game, we love the rich saturation of colors and details. In addition, it’s not often that kids games are designed by professional artists with a focus on realism. We value this quality because appreciation of fine art and complex art concepts can, and should, begin at an early age. Games that incorporate artistic elements with kid favorites like dinosaurs and hidden objects are a great way to begin this process for toddlers. Your little fashionista will go crazy for the Fashion Girl Makeover game. The game is equipped with three stylish levels. The first level is a spa. Your little one begins the game by choosing a girl and applying spa treatments. She can apply all natural face masks to her character as well as trim her eyebrows. She can even use the humidifier to soften her character’s skin. The next level is makeup. At the makeup salon, your child can choose between a wide variety of colored lipsticks and face paints to make their girl look even more stunning. The characters vary in hair color and skin tone which allows little girls everywhere to relate to the game. Furthermore, the varying appearances of the characters encourage diversity and allow your child to make real-world connections. Once she’s all made up, your child can take her to pick out the perfect outfit that will match her new look. With a closet full of cute clothes and accessories, she can be dressed for any occasion. She can even be paired with a golden retriever or poodle. One thing that stood out to us are the characters, who each have such distinct, multi-cultural looks. The different skin tones and hair colors may not seem important, but it’s a subtle lesson in the differences that make each of us beautiful in our own way. The variations in skin shades, for example, can be reassuring and empowering for a little girl who is insecure about her dark features. This subtle, but important social message is one of the many things we love about Fashion Girl Makeover! This free to download app encourages creativity and self-expression as your child can use their style to create looks for their characters. The rich colors and graphics of the game will appeal to your child’s sensory development. The wide variety of clothing options, colorful cosmetics, and gorgeous accessories allow your child to constantly create new looks for their characters. 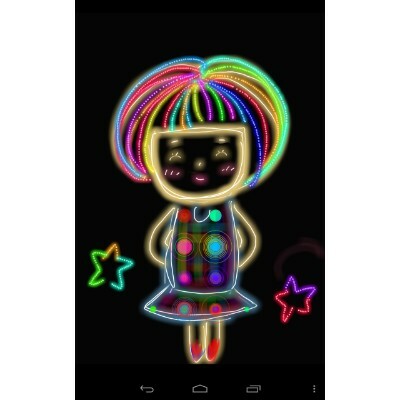 Android users of all ages can enjoy coloring 3D designs on the ColorMinis app. Instead of coloring designs on paper, they can color realistic looking figures. They can choose between animals, anime figures, castles, robots and more. Your child can save their best pieces and even name them. The collection shelf allows your child to save up to thirty-two pieces. It’s free to download thus your little one can begin coloring in no time. 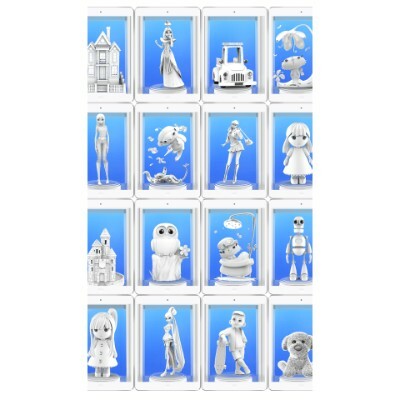 Unlike many coloring apps, this one allows your child to color 3D figures. Your child can unleash their creativity as they develop new colors and combine colors with different mediums. Coloring on the app is super simple. Tapping the colors will apply it to your child’s brush and putting the brush on the figure will apply the color or material to the figure. Pinching the screen will allow your child to zoom in and swiping will provide your child with different angles to view the figure. Your child can use the colors from the included palettes or combine the colors to create new ones. They can also combine colors with metal, gloss, clay, sparkle and a variety of mediums. Coloring can happen anywhere as WiFi is not needed to use this app. The Kids Coloring Fun Studio is an educational coloring game geared towards toddlers and young children still working their way through things like the alphabet and numbers. 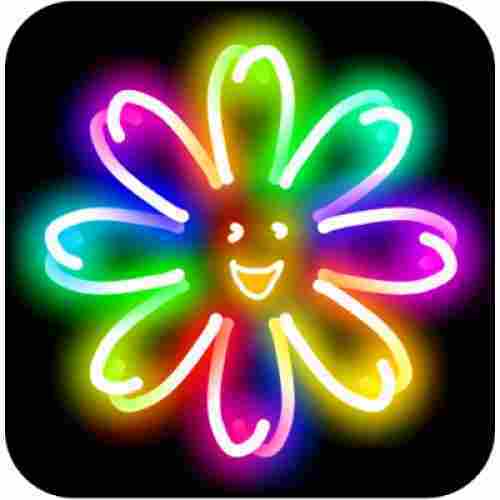 With eleven total themes to explore, children will never get bored of coloring in this app. Choose between ABC’s, 123’s, Dinosaurs, Princesses, Teddy Bears, Holidays, Animals, and more. There are over 220 pages to color and interact with, and various color palettes available for each theme. Your child’s knowledge of colors, numbers, and letters will increase as they play on this app. A large number of coloring pages and a variety of mediums will allow your child to fully unleash their creativity. Brush, glitter, and pattern tools give kids dynamic textures to work with, and there are adorable in-app stickers to help decorate your finished product. The interface is easy to navigate and kids love the interactive elements. With it being free to download and easy to use, children can begin coloring almost instantly. 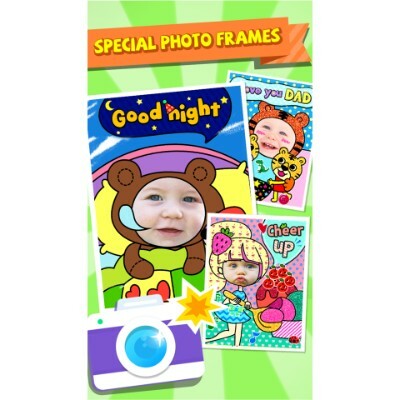 The app even includes fun photo frames for your little one to put around pictures of themselves, friends, or family members. Any game that requires a little bit of scholastic work on the side is a bonus in our book. It’s not that you want to trick your kids into learning, it’s more that...okay, no, maybe it is that you’re tricking them into learning. But as long as they’re having fun, we won’t spill the secret. A lovely fairytale princess in a big, poofy gown is hard to resist, especially when they can be colored! 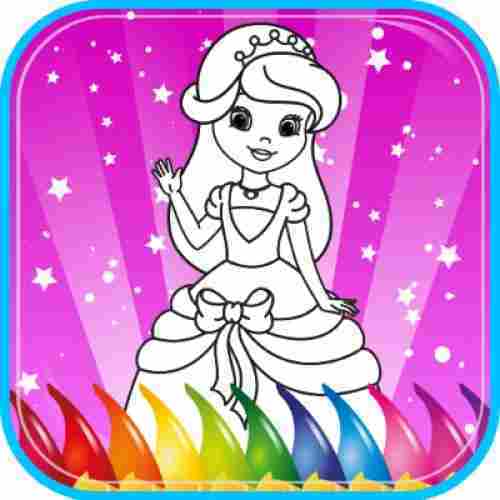 Your child will love coloring page after page of beautiful castles, knights, princesses, unicorns and so much more. Best of all, the pictures can be saved, redone, or sent to family and friends as e-cards. It’s a great way to show caring through sharing while encouraging kids to take pride in their work. The coloring method, by the way, is a nice and easy one finger process, accessible to kids of varying skill levels. When your child is ready, they can move onto to the blank pages and draw their own princess creations! This is so much more than a basic coloring book! Most kids love to share their artistic creation with others, but it can be upsetting once when they’re left with an empty coloring book. They’ll be thrilled with this coloring game’s save and share options, and the ability to redo pictures even after they’re saved. Saved pictures, by the way, are neatly organized in a gallery so kids can easily find them again and again. Instantly download the coloring book app for free to allow your child to unleash their creativity. 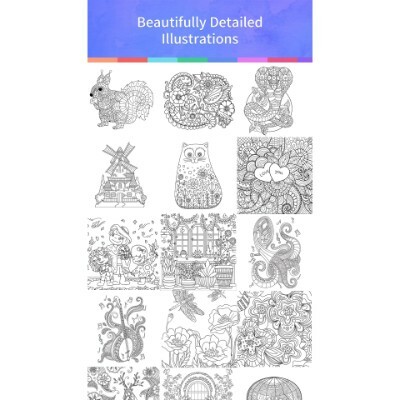 The coloring book is filled with beautiful mandalas, floral patterns, animals, and many more. Children of all ages can enjoy coloring as this app is simple to use. 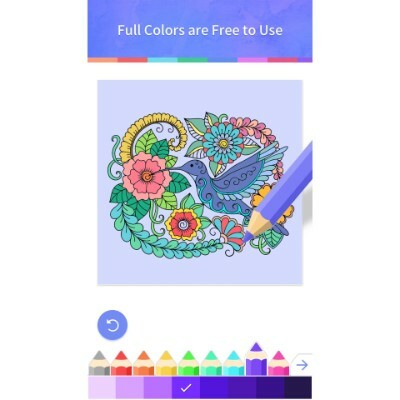 All your child has to do is simply tap the color pencil with the color they want to us and then tap the area on the coloring page to apply the selected color. Once your child is done coloring a page they can apply fun filters to increase the look of their piece. As your little one uses the controls to color the pages they will be increasing their hand-eye coordination as well as releasing stress. Once your child finishes each piece they can save them to a photo album so they can enjoy them later. 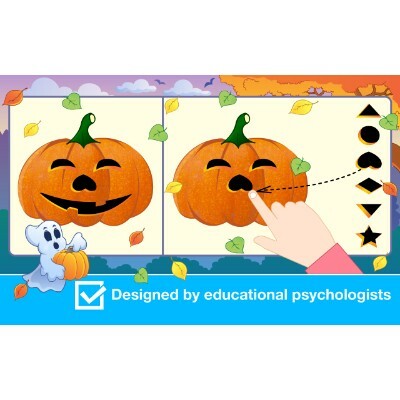 Pinching the screen will allow your child to zoom in and out so they can add color to the smallest details. 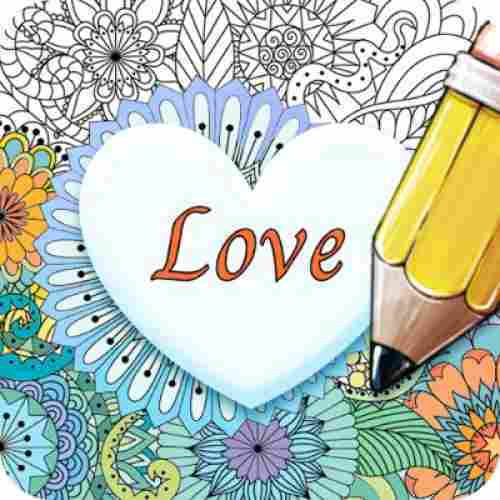 The coloring pages on this app are composed of small detailed lines that will not only keep your child entertained but will also allow them to create beautiful pieces of art. 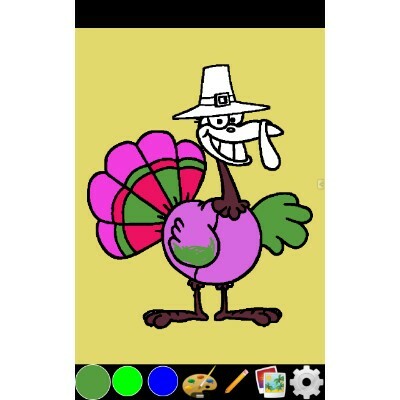 Children between the ages of one and five will benefit from and enjoy the Coloring Pages for Kids app. 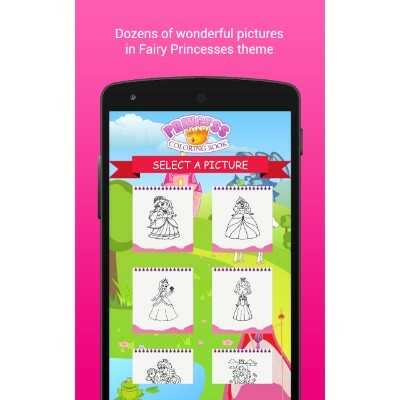 Equipped with around 600 coloring pages, your child will never get bored with the app. Animals, foods, and fairy tale creatures are just a few of the images your child can choose from. When looking for a page to color, simply scroll through to images to pick your favorite. 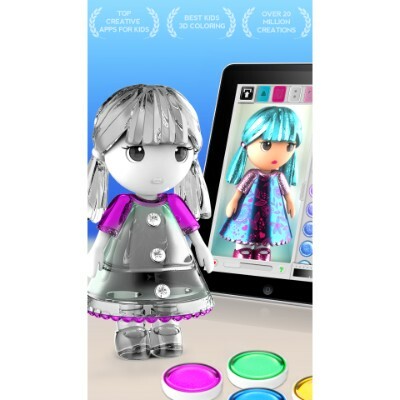 Designed with a save button, your child can keep and look back on their works of art. The wide variety of designs included in the coloring book and paints in the palette will stimulate your child’s imagination and creativity. The diversity of the shades in the color palette will increase your child’s color recognition skills. Their fine motor skills will develop as they work to color each image. Your little one can easily tap the mode button to switch between the options. The pictures are drawn largely and with simple designs to make coloring easier for younger children. 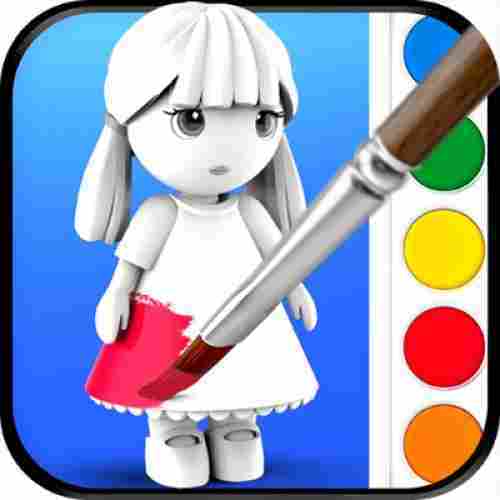 The game allows your child to choose between painting by using a line drawing or coloring by filling the image. This is absolutely the biggest kids coloring book app we’ve ever seen. Most apps offer about a dozen or so pictures, which is disappointing for most kids who are past the toddler years. We also love how the variety of images target both traditional “boy” and “girl” interests, so that it’s not exclusive of either group. 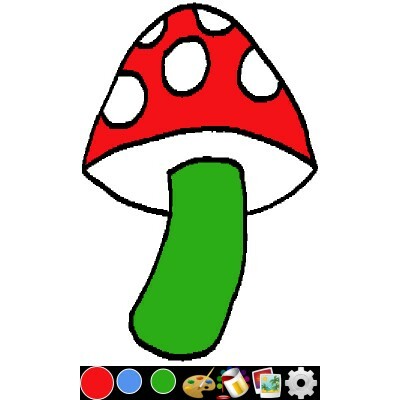 This is such a versatile coloring app, playable by yourself or with siblings, and even with friends at playdates. Our main goal was to provide you with color games that are fun and educational at the same time. The level of education a game should provide is dependent on its target age group, so targeted skills can range from basic color and shape recognition to reading comprehension and problem-solving. We also look at a game’s impact on social development, especially from games with storylines like The Adventures of Evie and Ozzy and Peter Pan. One thing we want to stress is that educational skills are taught in many different ways. Some games clearly target specific core curriculum and social development skills. Games like Fraggle Rock Game Day, for example, are quite clear in the promotion of serious social issues like personal identity and resolving social conflicts. But other games, like Fashion Girl Makeover, work on skills development in more subtle ways. While clothing and makeup choices may not seem educational, these games to help kids develop an eye for detail. They also promote an understanding of complementary colors and patterns, which can influence their understanding of math and architecture. A kids color game needs to have user-friendly features and smooth playability. These are the two most important features of functionality that we considered in making our choices. Kid-friendly features include basic play options like touch and drag, or unlimited redos for game levels. In addition, games should not have a complicated menu or navigation options that can confuse and frustrate kids. Let’s face it, color games are meant to entertain as well as educate. For most kids, the entertainment factor comes from a wide selection of color options and related activities. Advanced toddlers and older kids also need a variety of mini-games and activities in order to stay engaged. However, a wide range of activities is not beneficial for every child. That can actually be overwhelming and frustrating depending on their cognitive and social abilities. Some kids find it easier to focus on one or two tasks at a time, which they can do at their own pace, as many times as they need. That’s why we chose a variety of games for both types of children, although games for older kids will generally have many activities in order to target grade-specific skills. What’s important is that a game fits your child’s unique needs and preferences. Just because a game targets preschoolers, or only have basic coloring options doesn’t mean it’s inappropriate for your kindergartener if he or she is still struggling with preschool skills. As for playability, no game is flawless or immune to bugs and glitches. Certain games are so detailed and action-packed that occasional crashing or freezing is inevitable. However, these glitches tend to happen when the wifi connection is weak, or the battery is low. Thus, we recommend playing near a strong wifi connection and limiting play time to no more than an hour at any time in order to prolong battery life. In searching for smooth playing experiences, we considered the overall number of issues, customer complaints, and most important -- the company’s response to those issues. The companies on our list regularly communicate with their customers and send regular updates to improve how the game looks, feels and plays. q: What is a good age to introduce my child to coloring games? Most coloring games are aimed at 2 to 5-year-olds, but it really depends on your toddler’s skill level. 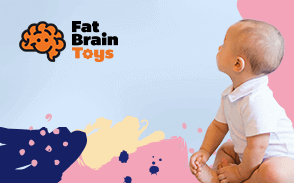 For example, kids begin to develop hand-eye coordination between 12 to 15 months. By 18 months, most kids are able to stack two blocks together, and engage in tasks like nesting, gathering and placing one object inside another. At this point, they may be ready for a very simple color match and shape games, but whether they’re ready for tablets and mobile devices is another issue. In order to ensure their safety, supervise them at all times and limit playing time to no more than half an hour. q: How many hours a day should I let my kids play these games? Doctors generally recommend limiting game time to half an hour per sitting for kids under 5. Kids 5 and older should not be playing video games for more than an hour at a time. There are several reasons behind these recommendations. First, too much screen time results in eye strain. Second, sitting too long causes kids to become inactive and may even lead to cardiovascular problems like the ones we see in adults. Equally alarming are the studies that show children who play several hours of video games per day are more prone to conduct problems and peer conflicts. q: Will video games impair my child’s social skills? This is a huge concern for parents, even with educational games like the ones on our list. The truth is, gaming has positive and negative effects depending on the usage. An hour of gaming with a sibling or friend can actually build and enhance social skills. On the other hand, sitting with the tablet hour after hour by yourself can indeed impair a child’s social skills. What’s important is to set definite limits on the types of games they play and how long they play them. q: Which of these games are best for working on cognitive skills? All the games on our list develop and enhance cognitive skills such as memory, focus, organization and pattern recognition. Some of the games, such as Toddler Animals and Fraggle Rock Game Day target more advanced levels that are ideal for children who are about to enter preschool and kindergarten. However, even coloring games for the youngest children involve cognitive skills like thinking and hand-eye coordination. q: Can coloring games help with learning disabilities? Because drawing and coloring involve basic motor skills, coloring games can be beneficial for children with learning disabilities. Coloring can also be soothing and therapeutic while providing an outlet for children who have issues with verbal communication. However, it’s important to understand that activities like coloring are tools that should be used in conjunction with scientifically approved learning methods and medical treatments. We recommend consulting with medical and education professionals to determine which coloring games are suitable for your child’s specific needs. q: Are the paid apps worth the money? With the myriad of free games out there, parents frequently wonder if it’s worth paying for an app. Most of the coloring games on our list are free, and they offer plenty of things to keep your kids amused. However, the paid apps do have some unique features and upgrades that can provide a more user-friendly experience. Another benefit to paid apps is the availability of more activities, game pieces and playing options. It should be noted that many of the free games offer in-app purchases, so the option to upgrade is generally available. That’s why many parents try the free apps first, then make in-app purchases, or upgrade to the full versions, if their children need more of a challenge.